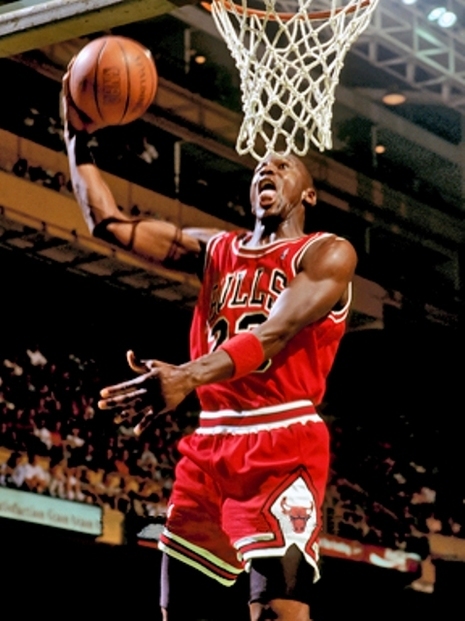 Jordan led the league in scoring again in the 1987–88 season, averaging 35.0 ppg on 53.5% shooting and won his first league MVP award. He was also named the Defensive Player of the Year, as he had averaged 1.6 blocks and a league high 3.16 steals per game. The Bulls finished 50–32, and made it out of the first round of the playoffs for the first time in Jordan's career, as they defeated the Cleveland Cavaliers in five games. However, the Bulls then lost in five games to the more experienced Detroit Pistons, who were led by Isiah Thomas and a group of physical players known as the "Bad Boys".